When I was doing my undergrad in the early 90’s, it was widely understood that when you graduate and find an entry-level job, the employer would provide you with the training and development to ensure your success in your role. This approach to new hires was the practice at Anderson Consulting (now Accenture) when I started working there. It seems that now job postings for entry-level or positions, even in project management are open to college graduates, but they expect them to be ready to contribute day one. For specialized programs, this may be possible, but for someone with a general business degree, development is still needed. It is absurd to post a job opportunity offering entry-level positions with a beginner’s salary while expecting ten years of experience but that is becoming more commonplace. To meet the needs of today’s business who want to have their cake and eat it too is to invest in a mentorship program where new hires can learn from those who have more experience. This is more than just a “watch what I do” approach. All too often, employees are sent out to take a training course and when they return, rather than being able to apply what they have learned, as the organization has developed support systems to adopt the new abilities, they fade and become useless because they are thrown back into work and have to catch up on what they missed out on.. 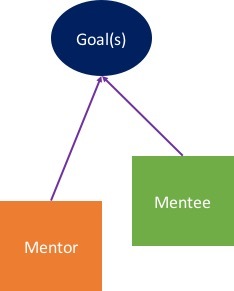 The mentor-mentee relationship should be more of what the Japanese call “Shite-Funi” (shi-tay-foo-knee) which translates loosely to “two but not two”. Use the analogy of someone with a lantern. If they shine it in the path for another, they also light their own way. A mentor is someone who wants the mentee to become more capable than themselves while still striving to become the best that they can be. From a functional perspective, the role of the mentor is to serve as an example, through their own actions, how to achieve something while the mentee works to achieve it on an even greater scale. The prime objective of a mentor should be selfless and therefore their desire for the mentee to surpass them should be without reservation. The open-ended process of growth and succession ensures that competence (knowledge, skills, and ability) is not based is always up to date and when imparted to the mentee, is useful. The objective of the mentee is to become more capable and as both are working towards a common goal, both benefit. At GPM we strongly advocate the sustainable development goals. In SDG #4 “Quality Education” one of its targets is by 2030, substantially increase the number of youth and adults who have relevant skills, including technical and vocational skills, for employment, decent jobs and entrepreneurship. By developing a strong mentorship program or even offering to serve as a mentor, you can align your organization to the goal and directly contribute.